I’m excited to be guest moderating #AdjunctChat this week! This weekly Twitter conversation takes place on Tuesday at 4:00pm ET. As a full-time education writer (a.k.a. blogger) and an adjunct online instructor, my interest in this topic is close to home. Blogging platforms (e.g., WordPress, Blogger, EduBlogs) offer the opportunity for an individual to be heard, to share a perspective based on his or her unique combination of experiences, context, and areas of interest. And many academics have turned to blogging, as an alternative form of publication, to do just that. Is there a value to blogging? How can and adjunct faculty member add his or her voice without adding to the noise? What cautions should adjunct bloggers be aware of? What are your favorite adjunct resource blogs? Do you blog? Share your link(s)! 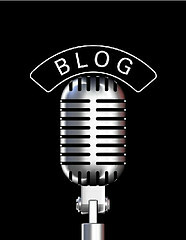 If you are interested in finding out more about how students, faculty, and administrators in higher education are creating blog content, you can visit my ongoing collection of related articles via Scoop.it, and a related conference presentation: All about Blogs: Universal Tool of the Digital Academic. What would you like to cover during this chat? Add your ideas and questions to the comments area below. Please join us on Tuesday, January 28th at 4pm ET! All are welcome. UPDATE: Thanks to all participants for their enthusiasm for this topic. A long list of ideas, experiences, and further questions were shared. The group took the chat in a helpful direction with a discussion about the use of blogs with students and in a class setting. The AdjunctChat site will post a transcript and a Storify version is linked below.